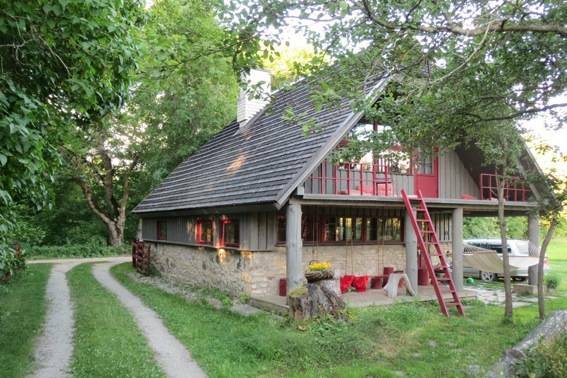 A vocation home up to 10 people in Mõraste, Rapla County, by the beautiful Kasari River. Mõraste is located between Tallinn and Pärnu and provides a good possibility to organise daily trips to different parts of Estonia: Tallinn, Pärnu, Haapsalu, Osel, Hiiumaa Island, etc. The vocation home is located in a little vocation village. The ground floor of the cottage has a spacious living room with a fireplace, a shower room +WC. A large balcony. The first floor has two bedrooms. Access to the balcony from both bedrooms. TV. Internet for the user with their own computer. A washing machine. 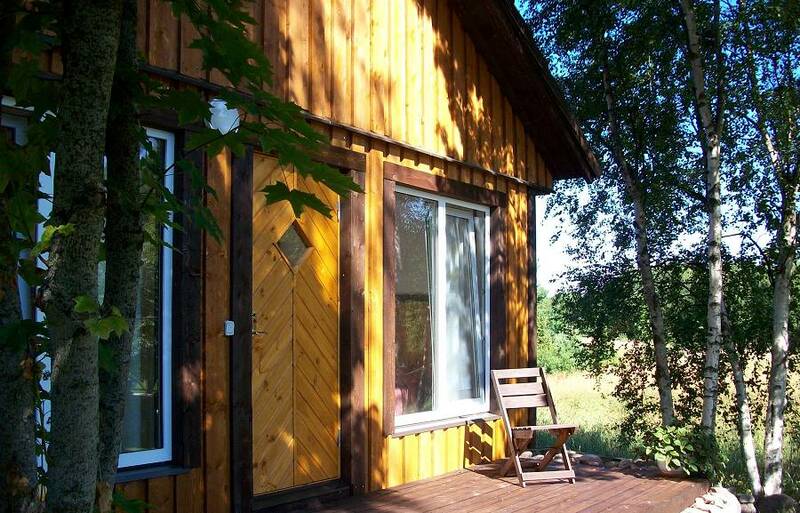 About 50 m from the house, there is a barbecue cottage and a barrel sauna with a view to the river. If anyone likes, they could try steaming in a transparency sauna, which is becoming increasingly popular. There is a volleyball court, a chute for children and a lot of space for leisure activities close to the house. It is possible to use a cask-style bath. Mushroom and berry forests close by. Parking next to the cottage (for free). 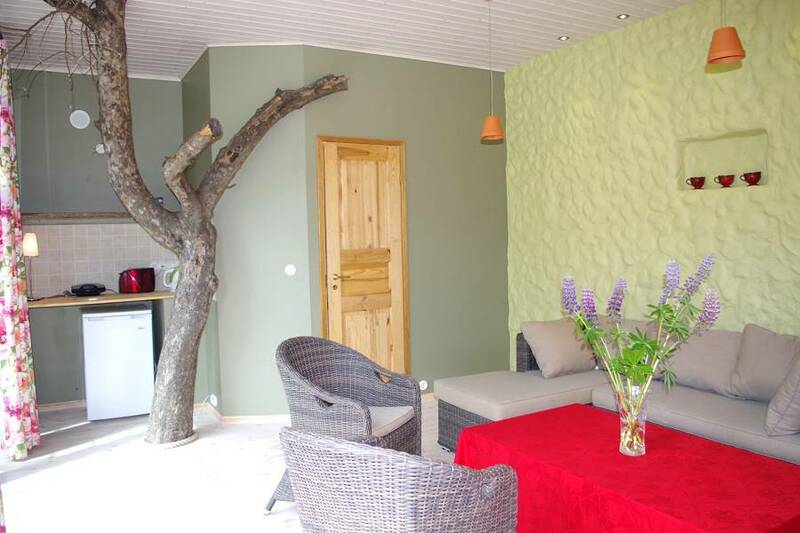 A cosy courtyard cottage for up to 6 people in the City of Pärnu, located in the coastal district. The sea and the sandy beach is 800 m away. Many recreational opportunities are within a short walking distance: SPA, pubs, restaurants, nightclubs, shops, the beach, children’s playgrounds, etc. The cottage has 2 bedrooms, a lounge room, a living room, a kitchen, a shower room + WC. From the lounge room you have access to the terrace, furnished with garden furniture. The cottage has a total of 4+2 bed places: a double bed and 2 single beds in the bedrooms, a sofa bed in the lounge room. TV. Internet (WiFi) for personal computer use. Washing machine. The cottage has a beautiful maintained closed garden. Garden furniture in the garden. BBQ option. Parking in the closed yard (for 2 cars) or on the street (for free). 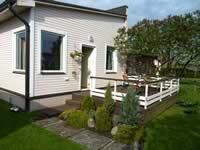 A cottage for up to 8 people in the beach area of Pärnu within a 8–10 minute walking distance from the beach. The water centre is 500 metres away. Cafés, restaurants, market and event places also within a walking distance. The ground floor of the cottage is comprised of a living room, a kitchen, a bedroom, a toilet, and a shower room. The second floor includes 3 bedrooms, a bathroom with a toilet. The cottage is enclosed by a fence. A grilling corner and garden furniture are outside. There are a total of 6+2 bed places in the house: 2 double beds, 2 single beds, sofa bed. TV. Wi-Fi. Washing machine. BBQ option. Parking in an enclosed courtyard (3 parking spaces). 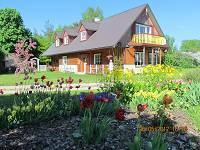 A holiday cottage up to 6 people in the southern part of Saaremaa, in a quiet and peaceful area, 60 km from Kuivastu port and 30 km from Kuressaare. Sea and bathing beach ca 800 m away. The cottage is surrounded by a spacious private barbecue house, swings for children and a sand pit. A small pond ca 60 m away. 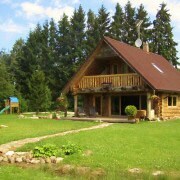 The vocation house, which became finalised in 2014, has a room with fireplace and open kitchen, 3 separately located bedrooms, a sauna with wooden heating. 6 bed places: a double bed in the bedroom on the ground floor, a double bed in the bedrooms located on the ground floor, 2 single beds. Additionally a single bed in the ante-room which can be passed by on the first floor. TV. Sauna. Possibility for barbecue. A sand pit for children. Swings. 3 bicycles. Parking next to the cottage (for free). A cozy cottage cottage in the midst of the wild nature of Matsalu National Park, where there are several observation towers and hiking trails. Resort towns Pärnu, Haapsalu and Kuressaare are just a short drive away. The cottage is perfect for bird watchers and nature-lovers. Fits 6 people (10 with extra places). The cottage has 2 floors. On the ground floor, there is an open kitchen-dining room, a wood-fired sauna, shower, wc and an open living room with fireplace and a few beds. An open staircase leads to the second floor where there is a spacious living room with tv, sofa and a few single beds. There are two small bunk beds hidden under the ceiling (fits 2X2 people), often the favourite of older children. A door leads to a small terrace (can be locked with a key, for the safety of children). There are also two bedrooms on the second floor – one bedroom with two separate beds (can be put together to one double bed) and a bedroom with a double sofa bed and a single bed + an extra double hidden bed under the ceiling. The cottage features a cozy yard with a summer terrace and a summer room with a double bed. The cottage is neighboured by a summer cottage and a separate yard of the owners of the cottage. The other neighbours are further away and in general the surroundings are very silent. 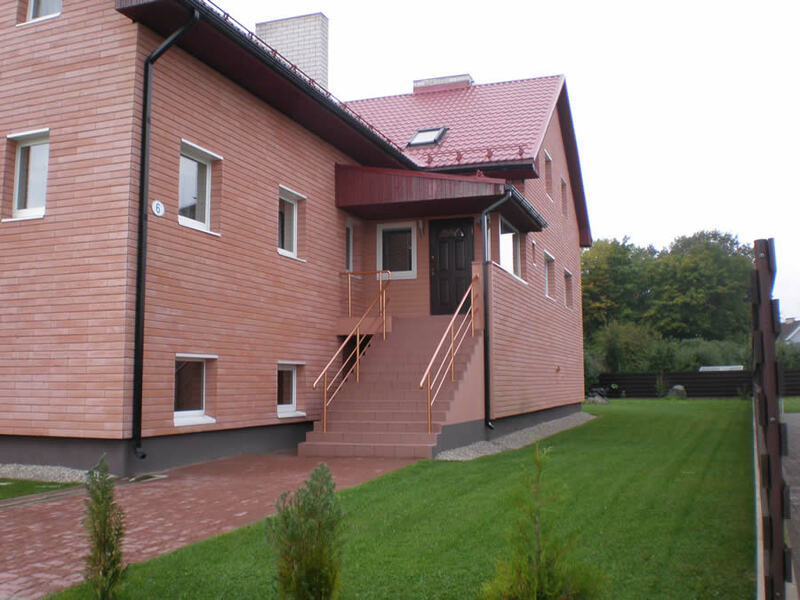 House for 8 people in Pärnu city. This is a quiet and private area in Old-Pärnu. The central of the city is located 3km away. Sandy beach and swimming area only 1km. You can get to the main sandy beach with 4km walk. This cottage has 2 floors. On the first floor you can find kitchen, livingroom + diningroom, bedroom, WC and showers. Second floor – kitchen, livingroom and 2 bedrooms, showers + WC. Theres 4+4 beds: 2 doublebeds, sofa bed and 2 extrabeds (camp beds) for you to use if you would like so. 2 TV-s, washing machine. Outside theres a big terrace, garden furniture and bbq. Also theres a closed fence around the garden. Parking Lot is in front of the house. BEACH DISTRICT ! BEACH – 400m This small cozy villa with an excellent location next to Pärnu beach suits for 5 people. Seafront promenade is only 200m walk away. Everything necessary for a great holiday is just a walking distance away : the beach, restaurants, SPA, kurhaus, Vallikääru, summer events etc. On the ground floor theres kitchen, living room, veranda, sauna, shower room + toilet. On second floor you can find spacious bedroom with bathroom and toilet, also there is a large balcony with summer furniture for your enjoyment. Theres total of 2+3 beds: wide double bed in the bedroom, sofa in the living room and 2 (single and double-digit) air mattresses wich you can move wherever you like. Veranda is also suitable as a cozy bedroom in summertime. 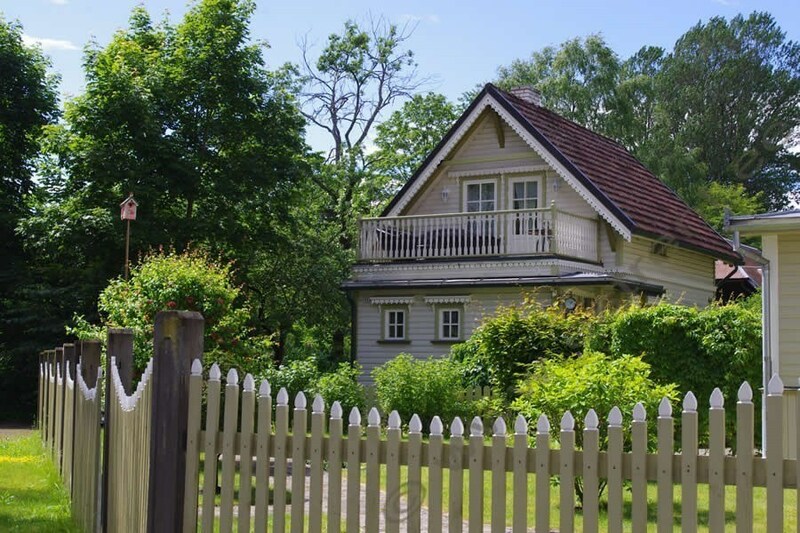 This cottage is located in the courtyard, away from the street and is surrounded by a fence. Theres also a seating area and a BBQ. 2 bicycles. Parking lot. 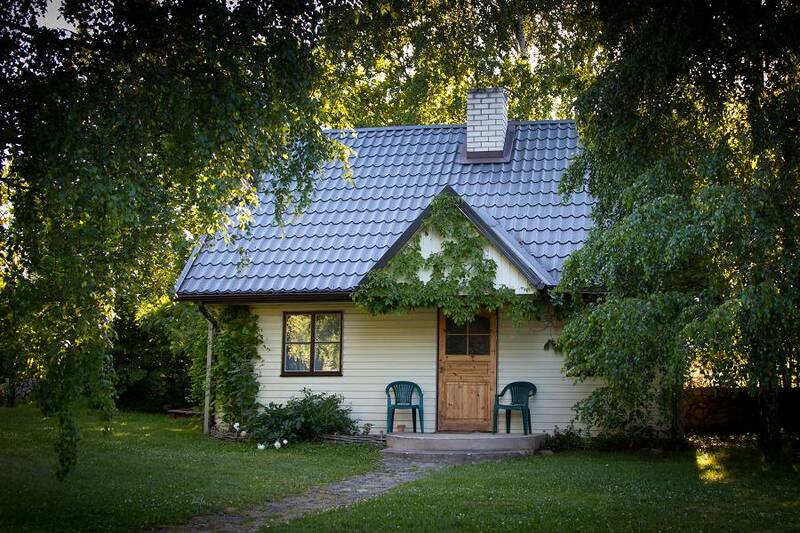 A small courtyard cottage with a summer room for up to 4 people in the center of Pärnu in a quiet residential area. All services and everything necessary for a great holiday is just a walking distance away. Beach - 15 minutes walk. The cottage has a bright living room, sleeping area, shower room with WC There is also a small cooking area, where you can find a coffee maker, toaster, a small electric stove, fridge and eating utensils. There are 4 sleeping places: a thick mattress bed, a bunk bed for one, sofa bed for children. The terrace has garden furniture. Outdoor BBQ. The plot is fenced. The yard of the cottage side of the courtyard is for guests to use. Free parking is on the street in the front of the house. House for 5 persons near the Pärnu beach area. All necessary for a holiday is within a walking distance. Beach and Water Park is 15 minutes by foot, market 700m, city center 1km. Shops, shopping malls, boutiques, venues are 15-25 minutes walk away. The cottage has been completely renovated inside, caught as much as possible to preserve the original. Interior is retro, urban and modern comforts have been added. There are 2 + 3 beds in the house: bedroom with double bed (130 cm), living room with a sofa bed, sofa and a single bed. The cottage also has a small closed 300 m2 courtyard and barbecue. Free parking in front of the house. In exceptional circumstances (in the absence of a parking space on the street), it´s possible to park the car in a closed courtyard. 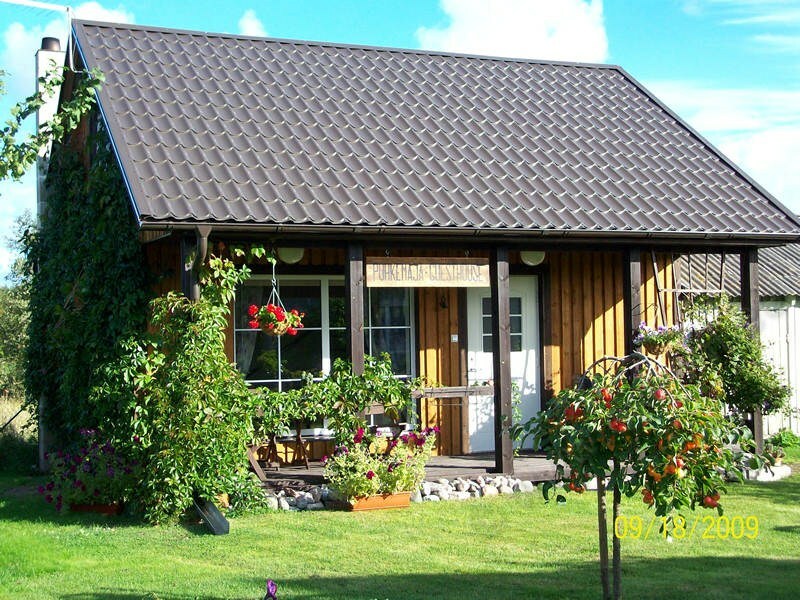 This Villa is located in a beautiful area with nature up to 8 people (+5 for extra charge) in Pärnumaa. Excellent location allows to take pleasant day trips to various regions in Estonia. Pärnu, the summer resort with a beautiful seaside, is located about 20-minute drive away. You can spend a family vacation in Lotemaa themepark, which is located 25km away. There is also a good opportunity to visit other Estonian cities: Viljandi 50 km, Tartu 135 km. Latvia ( checkpoint) 40 km. This spacious two-storey cottage was built in 1906. It was fully renovated in 2005. Nowadays it has become fashionable contemporary villa that has everything you need for a perfect holiday. It has two bedrooms which are located on two floors. In total there are 13 beds (8 + 5 for extra charge). All rooms have their own shower + toilet. 25 m away from the cottage is a small artificial lake with Sauna (you can rent Sauna for extra charge). The lake is also suitable for swimming (children need supervision from their parents!). Pets are allowed. Parking is next to the house. Small cottage for 6 (+3) people in Viljandi city, quiet residential neighborhood. 15 minute walk from city center. Maksimarket 400m. Paala lake 400m. A lovely garden with very peaceful and quiet environment!